Other freestyle frisbee guides like how to prepare for competition or how to throw a freestyle frisbee tournament. 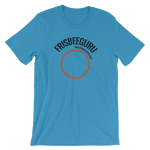 Part of FrisbeeGuru’s mission is to aide in the growth of Freestyle Frisbee. In this guest post, Ken Westerfield shares his vision for sharing Freestyle to Ultimate players. 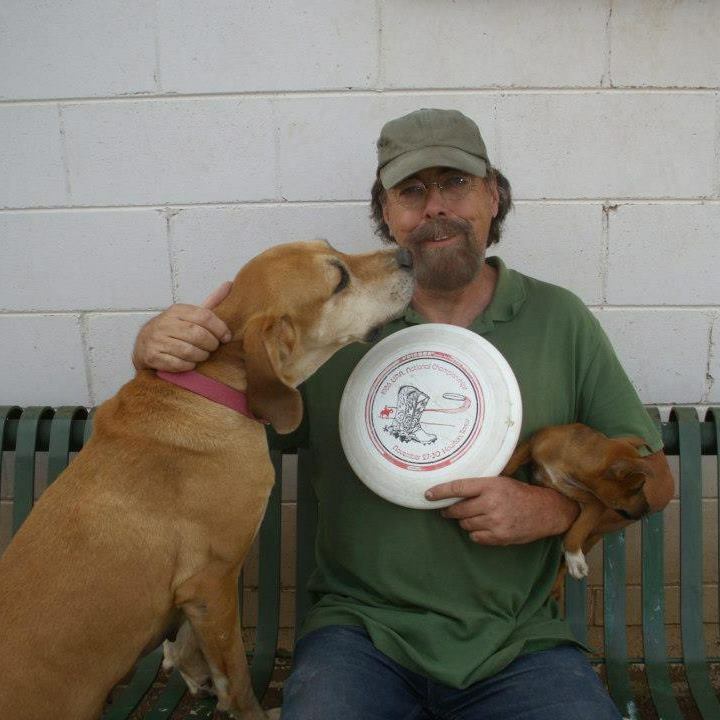 Ken is a Frisbee (disc) player from the 1960s and a Hall of Fame inductee in freestyle, ultimate and disc golf. Thanks, Ken, for this submission! “All disc sports are rooted in early freestyle play. No disc sport plays at a higher level of handling skill than freestyle, therefore it stands to reason that any disc sport requiring any degree of disc handling skill could be greatly advantaged by having skill in freestyle”. Even before the game of Gut’s, people were trick throwing and catching the Frisbee behind the back and under their legs, freestyle, although not yet called that, was the original play with a plastic flying disc, maybe even with the pie tin. Freestyle competitions and the touring freestyle performers in the 1970s were the events that began showing people that Frisbee skills could be more than just recreational beach play with a toy. Popular, competitive disc sports like ultimate and disc golf are excellent flying disc games and are much better than their ball counterparts, but as a skilled flying disc handling activity, there’s nothing more uniquely, self-challenging than playing freestyle with a flying disc. As disc sports become more popular, freestyle may evolve in content and direction. More freestyle-like games and events may become new disc sports in the future. 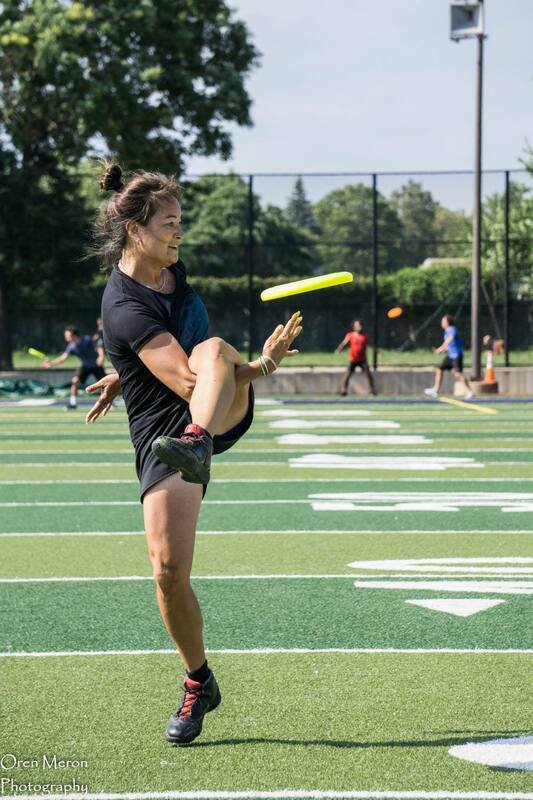 In the meantime, since there are elements of freestyle play in every disc sport, it’s time to start convincing disc athletes to include some form of regular freestyle play as a good exercise for handle-skill improvement. As their freestyle skill evolves they will gain an appreciation for freestyle as a sport and a few may even make the conversion to freestyling for fun and even competitively. There’s a potential for a new generation of young freestylers, currently playing other disc sports, especially ultimate. Ultimate is fast becoming the breakout disc sport of the future, using many of the freestyle throwing techniques that made early freestyle popular. Ultimate’s flying disc uniqueness, mixed gender competition, ease of play anywhere without restrictive equipment, as well as a working self-imposed attitude of good sportsmanship (SOTG), during a competition, is going to make ultimate a very popular sport in the future. I would never want to see freestyle catching included into the game of ultimate (keep it simple), but if we can show ultimate players that there are some playing benefits that can come from learning freestyle throwing and catching, as a training option, freestyle could end up sharing ultimate’s future playing popularity. Freestyle, prior to 1975: Play was fast and throws were hard with a smaller Pro Model Frisbee. The play would actually resemble a good tennis volley, especially when done on a hard surface, with lots of running, jumping and fast freestyle catching. After 1973, tips and kicks were invented, larger Frisbee’s were preferred, then came delay moves, and the game began to change. So by 1975, the quick, throw, catch and flow game was over. However, this early version of freestyle play, using a 175g ultimate disc instead of a Pro Model, could interest and benefit ultimate players. An uncomplicated freestyle option that would be easy to learn with play similar to the running, throwing and catching skills used in today’s ultimate. I know the benefits because this is the type of freestyle play I did before I played ultimate and I know how much having this freestyle throwing and catching skill advantaged me as a handler. I originally wrote these ultimate handle-training articles a few years ago for ultimate players, to be read at several online ultimate websites, Fast Freestyle the Ultimate Edge on Ultimate Rob and 8 Reasons to Include Freestyle to Your Ultimate Training on Ultiworld’s site. It promotes fast-freestyle, speed-flow, (early freestyle, pre-1975) as an “extreme throw and catch exercise” for ultimate players. Most sports do have a freestyle component for a reason. Professional soccer players can bounce a soccer ball on their head, knees and feet almost endlessly without a break. This skill does not come with the play of the game, it’s a skill that has to be developed. As well as practicing their timing, they do this routine to develop their mental and physical connection with the ball. This skill is as much a mental exercise as it is physical. As a result of this exercise, soccer freestyle is becoming popular and has its own competitions. To develop playing skills in any sport, it helps to include multiple training activities that can isolate and improve every playing skill and strength that is required for that sport. Athletes often include cross-training sports to improve skill and strength in their primary sport. Freestyle is the cross-trainer for all other disc sports. 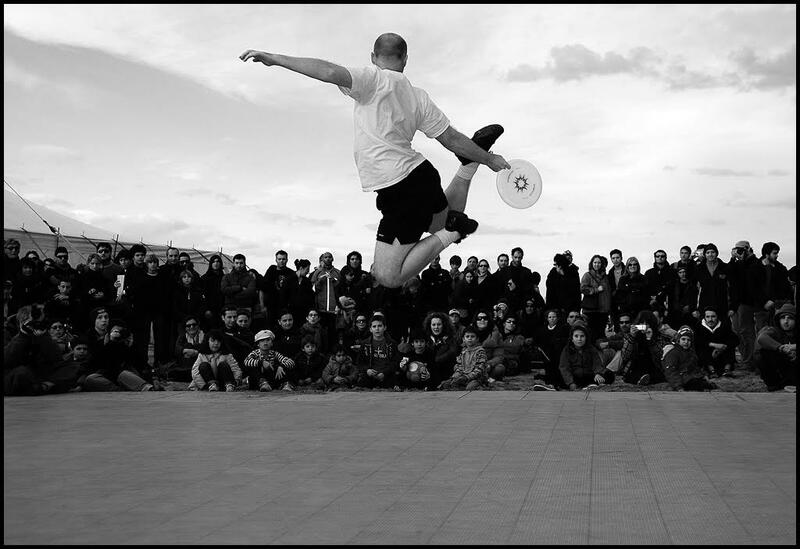 Ask any ultimate player that has freestyle skill and I’m sure that they will agree. Ultimate is not a complicated game. There still isn’t much in the way of strategic plays with coaching genius. There’s man or zone, don’t clog up the passing lane. It’s a game of throw and catch, the team that makes the least amount of mistakes doing that, wins. In my “Freestyle for Ultimate Handle Training” articles, there are techniques of freestyle play outlined that as freestylers you can convincingly present to friends and disc athlete’s who play ultimate and other disc sports. You will see, if you read my articles, I’m not promoting delay moves, the use of delay paraphernalia or even spray for this exercise. Ultimate players have already shown that they enjoy running, throwing and catching and are already doing many of the throws that we used to consider to be freestyle throws, even air-bounce. 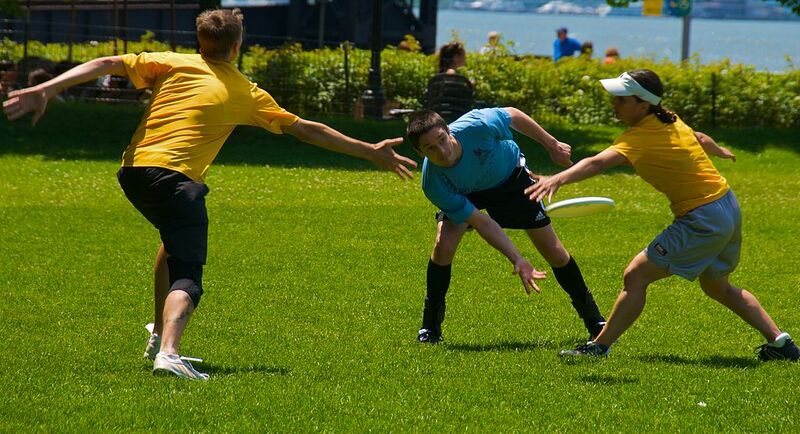 So for freestylers that know this type of play and are already involved in ultimate, whether competing or organizing ultimate events; presenting a basic throw and catch, pre-delay version of freestyle is a great place to begin, allowing ultimate players to easily see a type of freestyle play that most closely resembles the skills required for their own disc sport. Once new players are able to experience the basic fundamentals and original play of freestyle and realize it’s potential, they can play freestyle anyway they like. I’m not saying freestyle skills are always necessary for handle-skill improvement but for ultimate players that already have excellent handle-skills, it could just be an effective (cross-training) way to improve, strengthen and maintain them. For the ultimate player just starting out, freestyle could be a fast and fun way to learn handle-skills, especially for wind conditions and catching with one-hand. In the future when ultimate teams are looking for every competitive edge, I have no doubt that freestyle will be an integral part of ultimate training. I feel that a throw and catch freestyle, as a training exercise for ultimate handling skills, could be compared to the mental and physical abilities that can be derived from martial arts training and how that type of training can assist in developing confidence and skills that are used in fighting sports. If we want new players to check out freestyle, we need to take the sport to them, by showing players of other disc sports that freestyle isn’t a different activity with unique skills, but can also be played as a fun similar skilled activity, improving the handle-skills for the disc sport they already play. In the future, I’m still not sure if freestyle will be popular as its own competitive sport or be more of an art-form recreation, exercise or skilled discipline, like dance and martial arts. Either way the future is bright for freestyle. 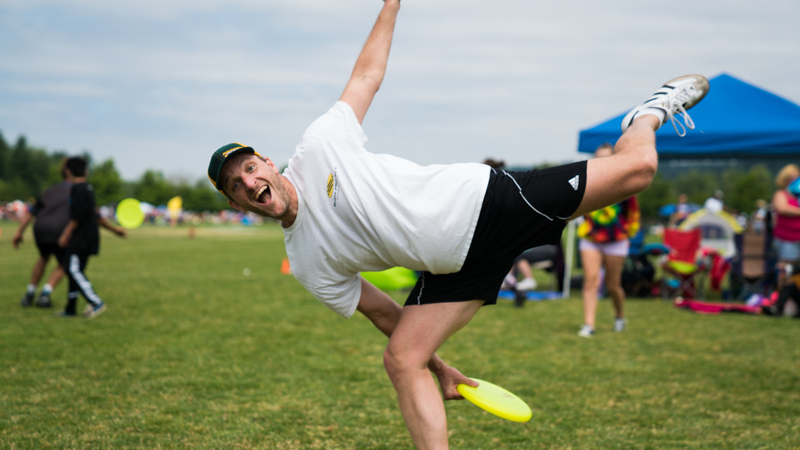 As long as some disc sports are growing in popularity, freestyle will always be there, as an alternative or addition to competitive disc sports. I know that as new ultimate players go to the parks and athletic fields to practice their two-handed rim and clap catching, that either by accident or intent, they will eventually try something a little different with a throw or a catch and when they do, that’ll be it. Note: What I’ve outlined, is a way for freestylers already involved in other disc sports, like ultimate or disc golf, to grow interest in freestyle, by presenting a simple non-paraphernalia freestyle play option that might appeal to athletes of other disc sports. Start with the basic throw and catch, the main attraction and common activity most closely related to all the disc sports. Today’s freestylers should not only think of themselves as players and jammers but also think of themselves as pioneering and teaching a disc sport that is still developing. The big difference between yesterday and today’s freestyle potential is that today there are millions of people and disc sport players that have accepted the flying disc as an implement to be used in sport. I’ve played all the disc sports well enough to understand what each sport has to offer athletically and I know without a doubt that what freestyle has to offer, no matter how you choose to play it, is unparalleled in its play.There’s no score keeping or competition necessary to enjoy freestyle. Freestyle is completely unique to the flying disc and there’s no other sport or recreation like it. Freestyle throwing by DC Breeze ultimate player Rowan Mcdonnell. Maybe not realizing that these are early freestyle throwing techniques. Because nobody has seen freestyle throwing styles since the 1970s, they think these throws are new and for new ultimate players, they are. Ken Westerfield is a Frisbee (disc) player from the 1960s. 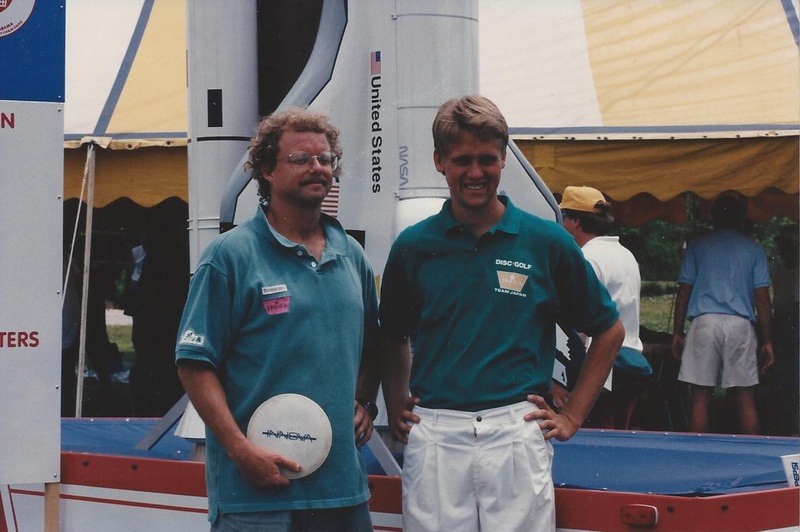 A Hall of Fame inductee in freestyle, ultimate and disc golf. Westerfield co-produced and was TD for early Frisbee and disc sport championships, including the Canadian Open Frisbee Championships, Toronto (1972-1985), the Vancouver Open Frisbee Championships (1974-1976), the Santa Cruz Flying Disc Classic, Santa Cruz, California (1978), the Labatt’s World Guts Championships, Toronto (1986) and the World PDGA Disc Golf Championships, Toronto (1987). World record, MTA, 15 seconds in 1975 and one of three to ever throw a Frisbee over 500′ (552’ in 1978), both thrown with a sidearm. Many competitive wins in freestyle, ultimate, disc golf, distance and other individual events in over-all NAS competitions in the 1970s. 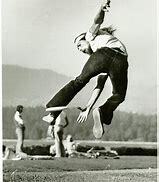 Invented freestyle moves, including “body-rolls” and with Jim Kenner introduced the first freestyle competition at his 1974 Canadian Open Frisbee Championships, Toronto, Canada. Westerfield was one of the original freestylers from the 1960s and used his expertise, with other freestylers, in several company-sponsored touring promotional Frisbee show tours for Irwin Toy, (Frisbee distributor in Canada 1972–76), Molson Frisbee Team (1974–77), Adidas Canada (1974-1979), Goodtimes Professional Frisbee Show (1978–82), Orange Crush Frisbee Team (1977–78), Air Canada Frisbee Team (1978–79), Lee Jeans Frisbee Team (1979–80) and the Labatt’s Schooner Frisbee Team (1983–85). Westerfield played on Santa Cruz’s first ultimate team (Good Times), in the first two years of California’s first ultimate league, the Northern California Ultimate Frisbee League (NCUFL 1977-1978). Ken also brought early ultimate play to Canada with demonstrations in 1975 at his Canadian Open Frisbee Competitions on Toronto Island and with Chris Lowcock, Bob Blakely, Jim Lim, Toronto Beach freestylers Patrick Chartrand and Stuart Godfrey, started the first ultimate league in Canada called the Toronto Ultimate Club, (1979 and still running, 250 teams and 3500 active members). Ken and his Toronto ultimate team Darkside, won the first Canadian National Ultimate Championships, Ottawa, 1987. In Part 1, I explored how Freestyle will improve your Disc Golf game. In this article, with help from the panel of experts (list below), I investigate the reverse, how does Disc Golf improve your Freestyle Game? If you have experiences in cross training between Disc Golf and Freestyle, please share in the comments. 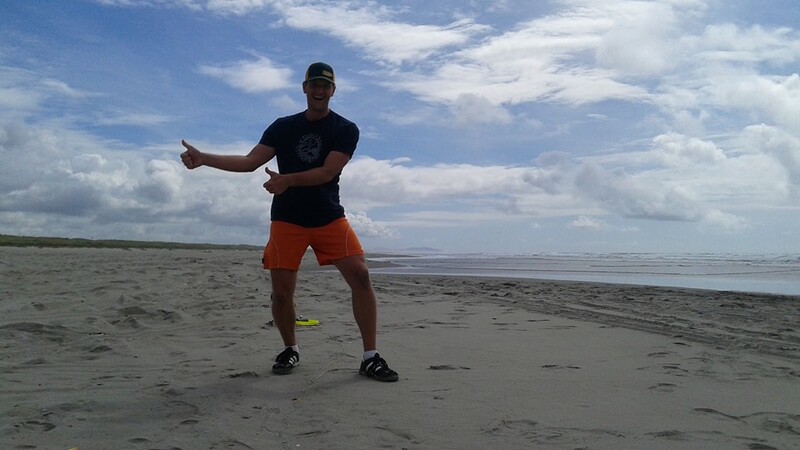 As a five-time Freestyle Frisbee world champion, I have spent more time playing Freestyle than any other disc sport. However, I have been known to dabble in others. Disc Golf is one disc sport that I have always appreciated and admired. I used to golf on a weekly basis. Seeing Juliana Korver take up Freestyle has piqued my interest in the benefits of cross training between Freestyle and Golf. I know I brought my Freestyle skills to my Golf game, and that Golf improved my Freestyling. So, I’ve assembled a panel of experts (list below) to help explore this topic. 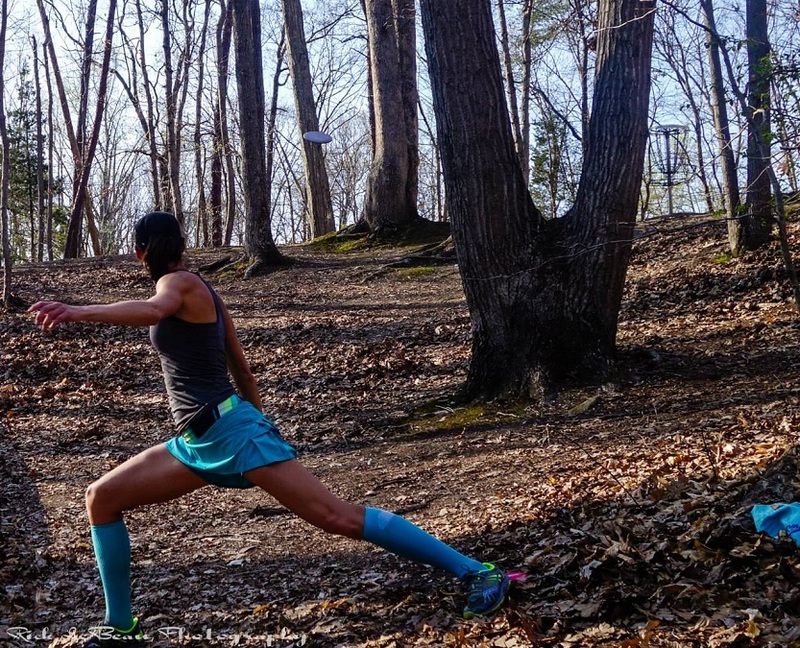 This article covers 3 ways that Freestyle Frisbee will improve your Disc Golf game. Part 2 will cover 3 ways that Golf will improve your Freestyle game. When I asked Glen Whitlock for input, he said that learning Freestyle can help you, “…see more flight path opportunities to get around obstacles.” This is true for a number of reasons. First, Freestyle is all about reading and controlling the disc’s flight path so you can get into position to do your next trick. Because there are so many situations (e.g., up-wind, down-wind, cross-wind, through a hoop, long throw, short throws), a player develops multiple solutions for any situation. In Part 2, I’ll explore how Disc Golf can improve one’s Freestyle skills. Read part 2 here. If you have experiences in cross training between Freestyle and Disc Golf, please share in the comments. In this series I’ll explain how to live stream (also known as webcast) a freestyle frisbee event. I have live streamed many FPA World Championships and other events and have learned many things along the way. Though I still plan to stream many more events I just can’t get to all of them. I want to share the live streaming knowledge in the hopes that more events show up online. If you want to stream an event that’s not Freestyle Frisbee, stay tuned as this series can help you as well. Note, links to equipment below are the current or newer versions of what I use in my kit. Your use of these links helps pay for future Freestyle Frisbee live streaming. To deliver a successful live stream, it helps to have a basic understanding of how it all works. In the most basic form it works like this. A camera at the event captures all the action and turns it into an audio/video signal. This signal is something like what comes from a DVD player. In other words, if you connected it to your TV, you’d see it on the TV screen. The signal leaves the camera, usually over an HDMI cable, and then enters an encoding device. This device converts the audio/video signal for the internet. In most cases this device is a computer, though there are other methods. For a computer to accept a video signal, it needs a special device called a capture card. On one side the capture card connects to the computer via USB or Thunderbolt and on the other side it connects to the camera via HDMI. It’s sole purpose it to convert the audio/video signal so the computer can accept and process it. So now that the computer has the signal it encodes it to a format that can be sent over the internet. This format is usually compressed as H.264. In other words, its smaller so it can make it across the internet in real time. It does this using software meant for webcasting. I like to use Telestream’s Wirecast. Once encoded, the computer sends the signal to a Live Streaming service. This service accepts the signal and makes it available for anyone who wants to watch. When someone opens up the video player, the service will send the signal to their screen. This service is what takes a single audio/video signal and duplicates it so that multiple people can watch. The service I most recently used was YouTube. In the future articles I’ll go into details about each item, planning and testing, the process during an event, and give a few step-by-step guides to help ease the learning curve. If you’re interested to host your own live stream, please subscribe so you can see the articles as soon as they are released. If you have any questions, please leave them in the comments below and I will do my best to answer. Here is a rough checklist of what needs to be done to run a full scale tournament. ___ Directions/Maps to the field to the hotel, to the parties, etc. ___ Where is all the equipment going to be stored? ___ How will it be transported? ___ Is there a post tournament jam? Putting together a freestyle routine is rarely the same as jamming. There are few players who can translate the excitement and unexpected thrills of jams into competitive formats. What that means is you’ll need to put in some time to create your routine. Every time you create a routine is different. Every routine is a different journey. You’ll have more fun by not focusing on the 5 minutes you will have to perform the routine at a competition but on enjoying the hours of creativity and camaraderie that will get you to that competition. What are your goals? Your goal may be to have fun. It may be to pull off a certain move in competition or to demonstrate a style of play you love. It may be to place at a certain level, to make the finals, to win. Your goals, and the goals of your teammates will shape the way you create your routine. Without articulating your goals for yourself, you may encounter more frustration than you need to when building your routine. For instance, if you are playing a theatrical routine at a beach shred competition, you should know whether your goal is to place well or play your style. If your goal is to place well, you should be aware that your style may be a handicap to your goal. If your goal is to demonstrate your style of play, your final placing won’t be a big factor for you. Take a moment to identify your goals. You may have a few. What’s most important? What’s less important? What style do you want to play? The sport is freestyle. The moves are the same, but each player combines them in their own individual way, creating an infinite variety of play. Knowing your style of play and your style of competing can make your routine planning more successful and enjoyable. Are you interested in more spontaneous play in competition? I am not an expert on spontaneous routines, but if you play this style you probably won’t want to bother mapping out elaborate co-ops to distinct music cues. Your time is better spent jamming with your team, learning each others’ games and getting hot. Are you interested in a highly choreographed routine? If so, you’re probably going to have to limit your jamtime with your team because you’ll need to spend more time working out co-ops and practicing the routine. How much time can you commit to putting the routine together? Whatever style of routine you choose, it’s important to work out with your teammate. If your routine is choreographed, you’ll want enough time to put the routine together and practice it. If your routine is unplanned, you should play with your teammate as much as possible. The more you know each other’s games, the better your interactions and improvised co-ops will be. I’ve had the luxury of living in the same city as my teammate and the further luxury that the city had awesome weather. Dave Lewis and I could play year-round. We did not work on routines year-round, but we worked on our games and improved our team play in jams. Our situation is extremely rare. It’s more likely that you will have only a few practice sessions with your team. Whatever your situation, budgeting your time is important. If you get together at a tournament and have an hour to prepare for the first round, use that hour wisely. It’s probably more important to work out some co-ops than pick out uniforms. It’s probably more important to pick music that every team member can jam to than to work out intricate choreography. Do what you can for the first round. If you make the cut, you have more time to flesh out your routine and pick those perfect matching outfits. Even if you practice year-round, it’s essential to use your time effectively. There have been many years that Dave and I spent more time worrying about our song choice than putting good co-ops together. If you have 10 weekends a year to prepare for a tournament, and the weather is so good on 9 of them that you just jam, that leaves you 1 weekend to prepare. You’ve just lost all the advantage of living near each other. Who are you playing with, and what are their goals? If your teammate has different goals, it can lead to tension. If you want a shred routine and the rest of your team wants something more theatrical, you may have a problem. Because freestyle allows so many styles, you can probably work things out in a way that each member of the team gets what they want. For instance, the theatrically-minded player could get a choreographed section and the shred player could get unstructured time for individual combos and improvised co-ops. Find out about one another’s goals early. If the conflict isn’t resolved, it may be a bumpy ride. Once you answer those philosophical questions, it’s time to put together your routine. The following suggestions use the assumption that you are interested in putting together a routine that places you as high as possible, a routine that is a great showcase for your freestyle wizardry, a routine that has the greatest chance to wow the audience. What song will you use? In most competitions, you can choose your own routine music. Sometimes in early rounds, music will be randomly selected, but at the world championships you are allowed to play to whatever you want in all rounds. Choose a song that everyone on your team likes. It may not be either player’s first choice, but it’s important that the song inspires you to play your best. Choose a song that reflects your style of play. If your routine has lots of choreography, think about whether the music has enough changes or breaks to highlight what you do. It’s more effective to catch choreographed co-ops on music breaks than at random points in a song. If your style is flowing, an aggressive song might not convey your game. Same if you are an aggressive, on-the-edge player. A Celine Dion ballad may water down the presentation of what you’re doing. Don’t feel censored, but take the judges and audience into consideration when choosing your tunes. Choose a song that the judges and audience can handle. It’s great to find a song that both people on your team like. If you want to make your team more competitive, also consider about what the judges and audience will think. Judges aren’t allowed to judge your music, just how your choreography meshes with your music, but music choice can factor in at the judging table. If the judging panel cannot get into your music, it may prevent them from getting into your routine. That may affect your General Impression score. If they cannot get past your music, they may not see all the great moves you are doing to the music. That can affect several scores, including Music Choreography. If the audience isn’t moved by your music, they may not be as excited by your performance. You can never predict what a judging panel or audience will like, but if your tastes run to extremes, take a moment to think about whether the music you love is a good complement to your routine. Even a dropless routine is filled with errors. They may not be the kind of errors an execution judge will notice, but the routine will stray from its plan. The wind will play with the disc. A set will be off. Someone will forget the next co-op. One teammate’s confidence won’t be there for an important move. What do you do when things go wrong? In a word: communicate. Talk. Bark orders. Claim responsibility. Give each other the evil eye. Every team communicates differently, but success depends on having a language to communicate what comes next. Teams who have been together for a while may not even say a word. They can communicate with motions or facial expressions. At some point in a routine, teams have to talk. The best time to figure out how to talk to each other is in practice. Shred. Choreographed. Aggressive. Fluff. Theatrical. Technical. We label teams and routines all the time based on what we perceive they are doing. Forget those labels. Whatever you plan for a routine should be makeable. If you plan moves that are beyond your comfort level, you risk distracting yourself. You may be so worried about that big move in the next co-op that you drop the previous co-op. Always push your limits and show the biggest disc skills you can, but be honest with yourself about what you can pull off when it counts. If you are building in a big theatrical section, make sure you can keep your concentration and get back to doing the moves. If you are creating a diff routine, be sure you can pull everything off. Co-ops are sequences that involve more than one player. They can be planned or unplanned, sketched out or planned to the second. You’ll want some co-ops in your routine. What makes a good co-op? Risk. Visual style. Pacing. Inventiveness. Flair. Most importantly for you, a good co-op is one that fits your game and you can learn well enough to pull off almost every time. How do you put a co-op together? Start with your money moves. Money moves are tricks you are known for. They are the moves that are hard for others but easy for you. They are the moves that get you a big response from the crowd or the judges. They are your favorite moves. Make sure your money moves are in your routine. If possible, try to combine your money moves with your teammates’ money moves for big, massive co-ops. Take advantage of what you’re good at. Once you’ve figured out some of the money moves you want to perform, think about how to link them up. How can you go from your money move to set your partner up for his big move? Think of consistent yet interesting ways to pass to your teammate. Think of consistent yet exciting ways to receive passes. Figure out how many interesting passes you can do before the spin runs out. Now think of a way to end the co-op with a big catch. Remember, it’s generally more exciting for one teammate to set up the other teammate’s catch rather than one guy to set to his own catch. Do that, then repeat 10-15 times. You will need between 10-15 co-ops for a competitive routine. Once you’ve got 10-15 co-ops, you’ve got the raw materials for a routine. It’s time to put them into order. If you’re doing a choreographed routine, you should have an opening sequence of around 3 co-ops, an ending sequence of around 3 co-ops, and some sequences in the middle. For some teams, the order of co-ops is the order the team thought them up. You can get good flow from co-op to co-op that way, but if you are open to rearranging them you may find some more interesting co-op sequences. Throws and catches: The player who catches a co-op will probably throw the next throw (this may not be true in a multiple-disc routine), so if Player A catches a co-op, the next co-op needs to have Player A throwing. Sometimes you’ll have to tweak co-ops to make the throws and catches mesh. It’s nice if each player catches about the same number of times. If each person is carrying an equal catching load, the pressure is not on any one player and you can work better as a team. Music: Some co-ops will work better with certain sections of the music. You may have created some of the co-ops to the music already. If not, try to visualize which co-ops will work well with which parts of your routine music. Balance: Routines can get unbalanced if you do too many co-ops of the same style. Are you always working close together (or far apart)? Is everything flat (or angle/windgame/turnover)? Is everything high spin? Is everything one spin? Your routine’s impact is reduced without variety. Things will blend together into a brain-deadening mush. Mix it up a little and your most important sequences will stand out. Flow: It’s not enough to have killer co-ops or a cool theme. Your routine needs flow. Even if each player flows well in their individual combos, even if the co-ops themselves are crisp, even then the routine can be rough if the transitions between co-ops are sloppy. For good transitions, try to minimize re-positioning or awkward pauses between co-ops. The catcher should end up in a place where he can throw the disc. His teammate should have already re-positioned to the ideal catch-receiving spot. Some believe that the catcher should not even re-grip the disc. If he catches it with a wrist flip grip, he should throw with that grip. That’s a very high standard of transitioning, so don’t get too hung up on it before you dot all your other i’s and cross all your other t’s. No matter what your routine, you have a theme. It might be Swan Lake or Spare Change. It might be “we’re going to go out there and shred like no one’s ever shred before.” It might be “we’re a new team and we’re not really serious about this.” It might be “this routine is falling apart and we don’t know how to save it.” You send a message with every performance. The key is to send the message you intend. If you want a theatrical routine, it’s going to take some extra thought to make it a special routine. If you want a choreographed diff routine, you better practice hard so you can pull everything off in sequence. If you want an improvised shred routine, it’s going to take some extra hot play to stand out against the commercial appeal of the theatrical routine and the precision of a choreographed diff routine. Whatever you do, do it well. Freestyle is a geographically diverse sport. It’s not always possible to work year-round on routines. Teams sometimes have only one or two sessions to create something special. Whatever time you have left over should be spent practicing. You can practice the co-ops to figure out how to pull them off. You can practice the sequence of co-ops to memorize the routine. You can practice the whole routine to build your physical and mental endurance. You can practice jamming with your team to learn their game, improve communication and build a team bond. To succeed in competition will require practice. The good news is that you can find a kind of practice that fits your style and goals as long as you bring intensity and commitment to each session.